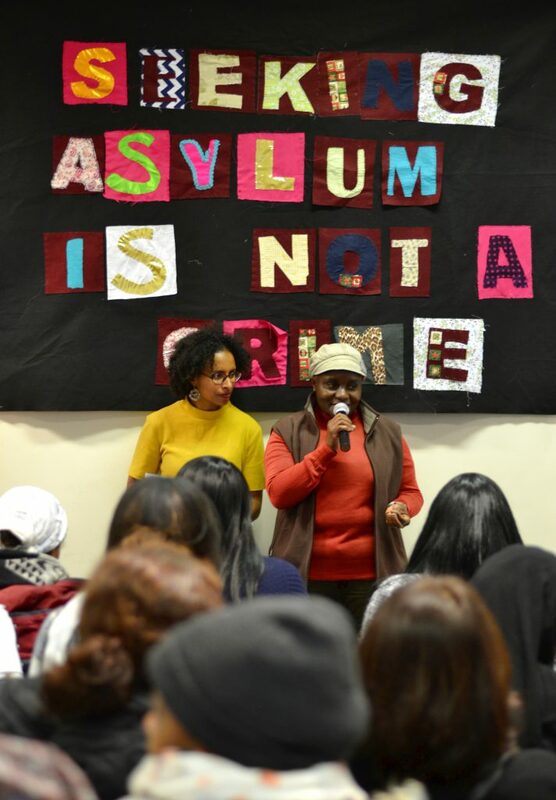 At Women for Refugee Women, we’ve had a busy year empowering refugee and asylum-seeking women and making sure that their voices are heard in the media and by policy makers. 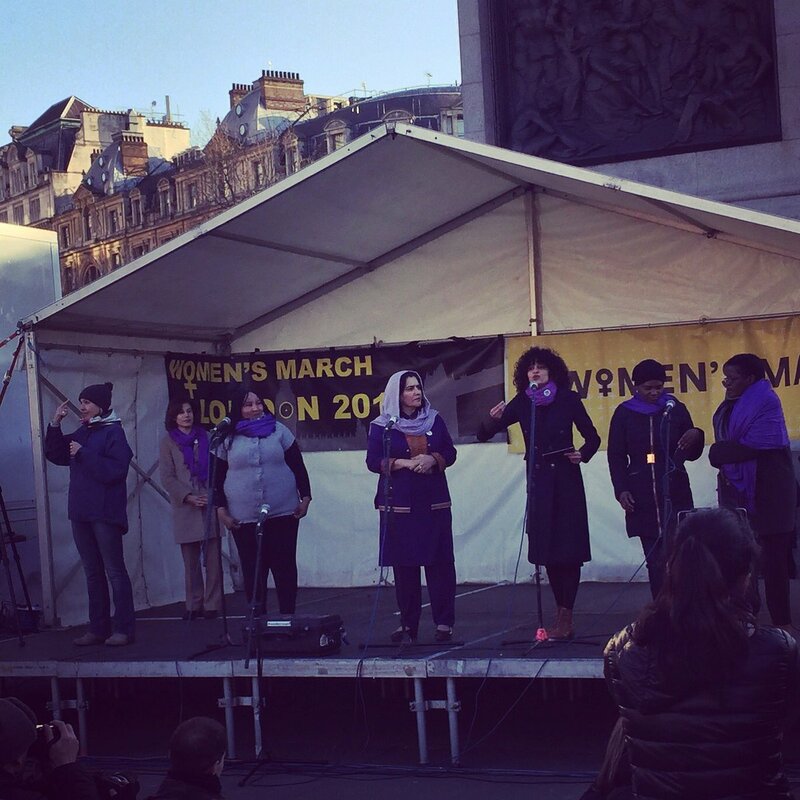 The women in our drama group showed just how much they have developed their confidence and creativity, performing their own poetry to over 80,000 people at the Women’s March on London in Trafalger Square. 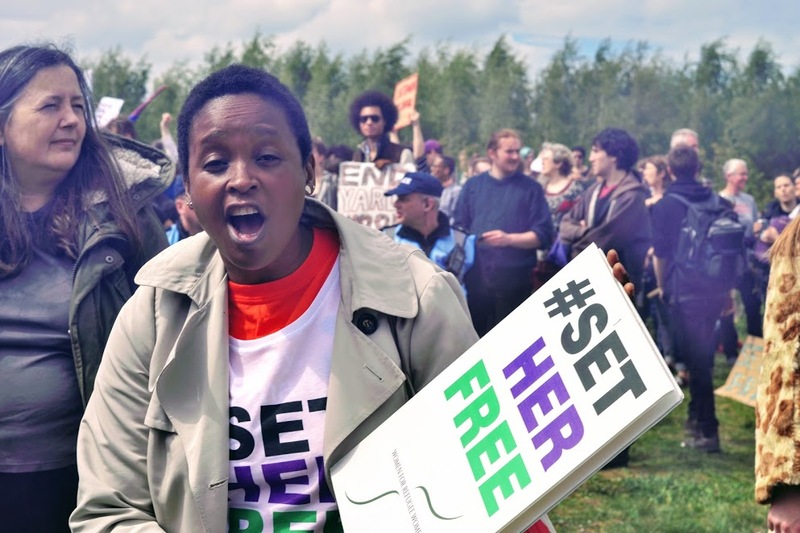 Our Grassroots Director, Marchu Girma, visited Hamburg to attend the Democracy Camp 2017. 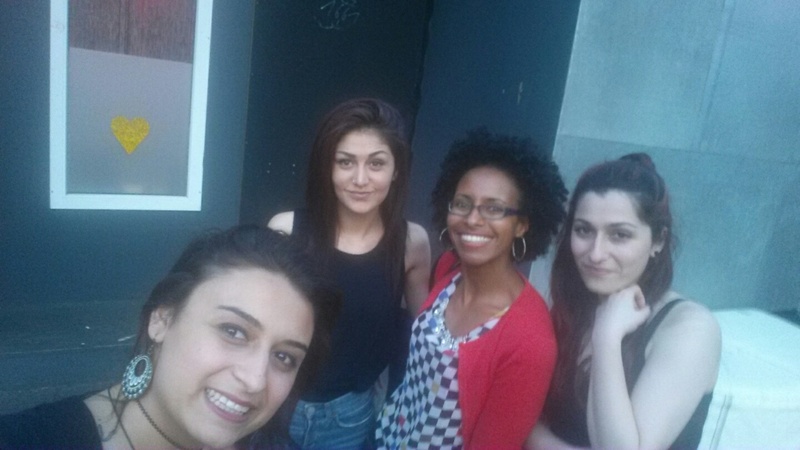 She wrote this great blog about her experience and her visit to Migrantpolitan, a small art space and café run by refugees, where she met with Syrian refugees. 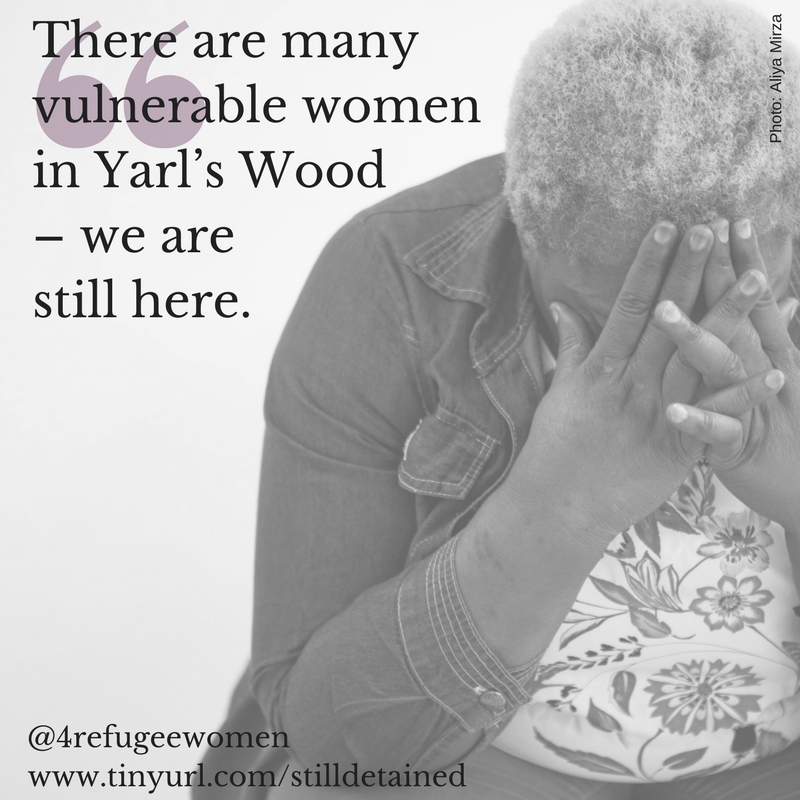 Refugee and asylum-seeking women in our network attended the ‘Surround Yarl’s Wood‘ demonstration. Eight women went on a retreat to Micklepage House in West Sussex, to relax, re-energise and work on new poetry and art projects. 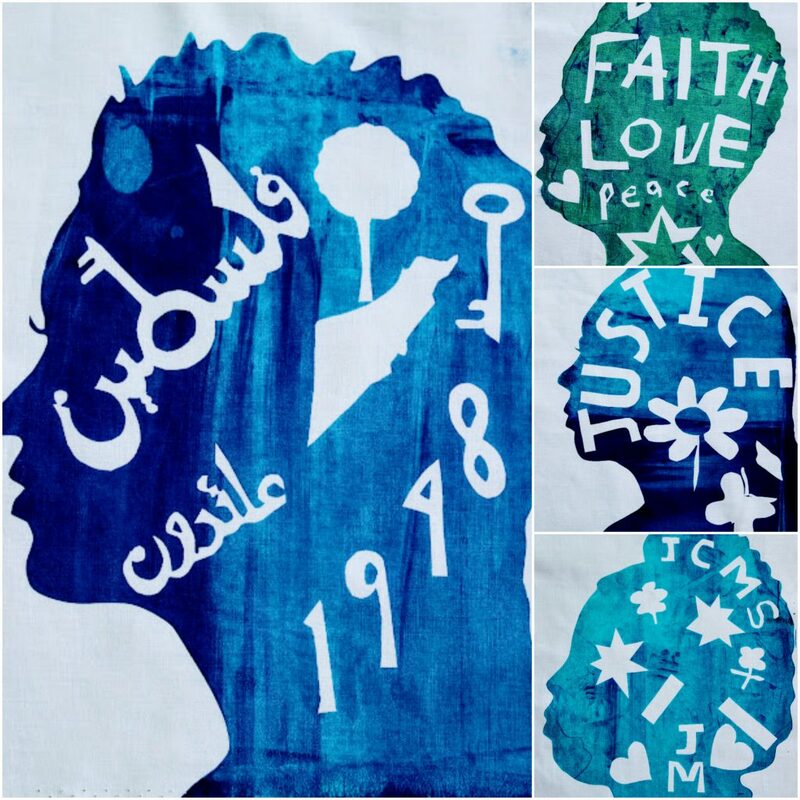 They produced these stunning screen-prints with the help of Social Fabric. 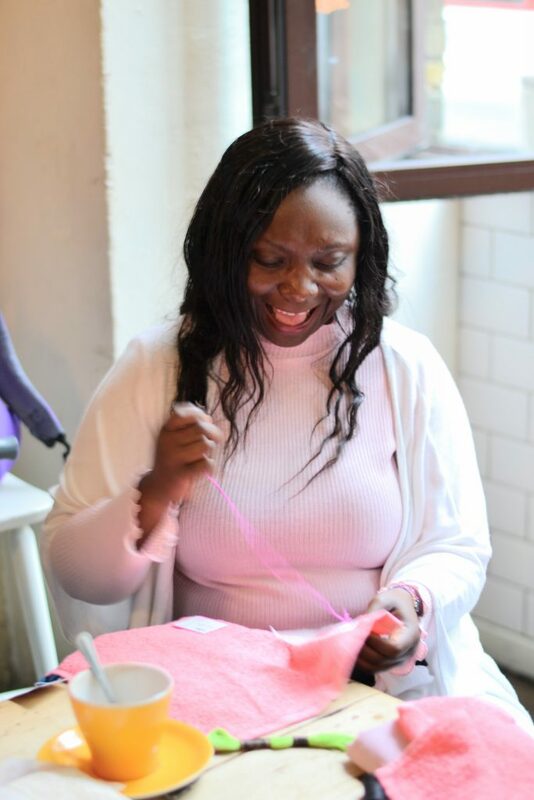 We collaborated with The Breakfast Club in Hoxton to provide textiles workshops for refugee and asylum-seeking women. We ran another of these course in November. 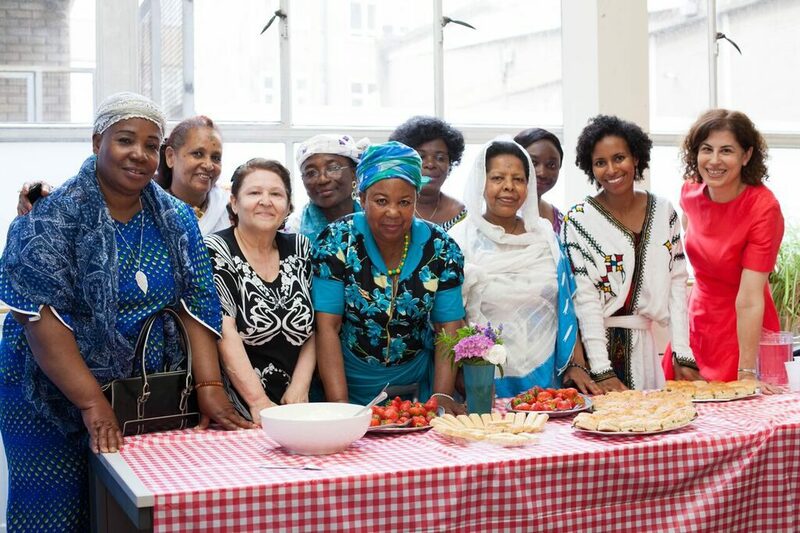 As our summer term drew to a close, we had a lot of fun at our end of term party for 130 refugee and asylum-seeking women. 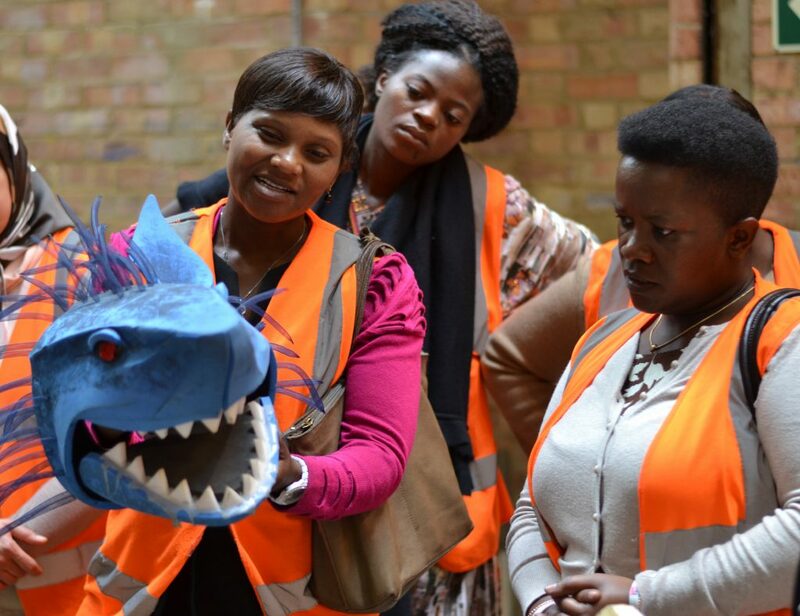 Our drama group also visited the National Theatre and tested out the costumes (pictured)! August gave us a moment to regroup and prepare for a very busy Autumn. 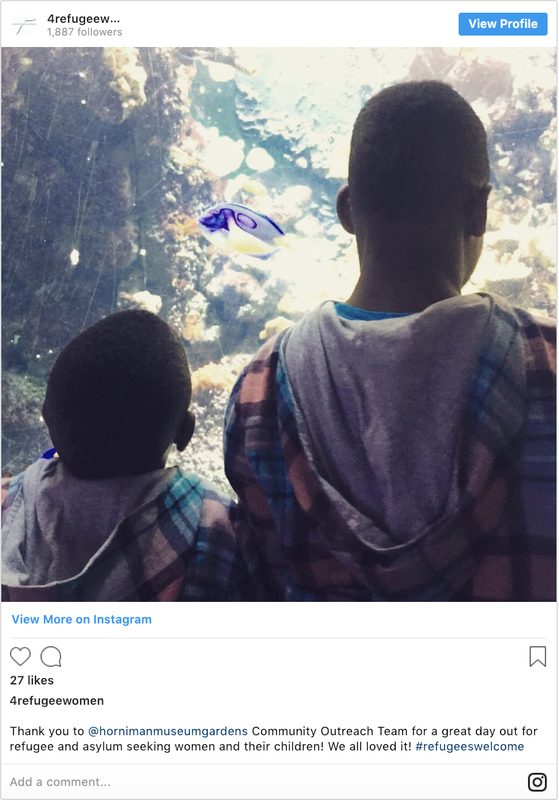 But we didn’t want the women we work with to feel isolated during this period, especially those with kids on their summer holidays, so we organised a trip for mums and their children to visit the Horniman Museum. We especially loved the Robot Zoo! 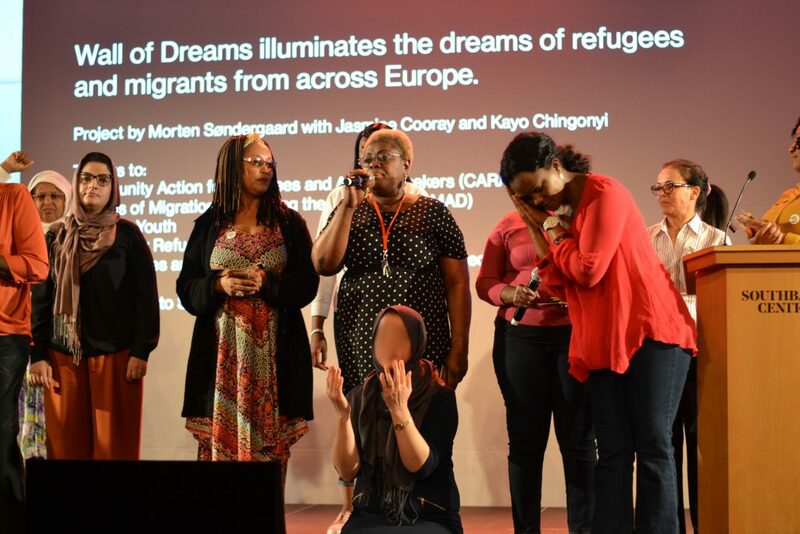 Women in our drama group contributed their hopes and dreams to the Wall of Dreams project, with poets Morten Søndergaard, Kayo Chingonyi and Jasmine Cooray. 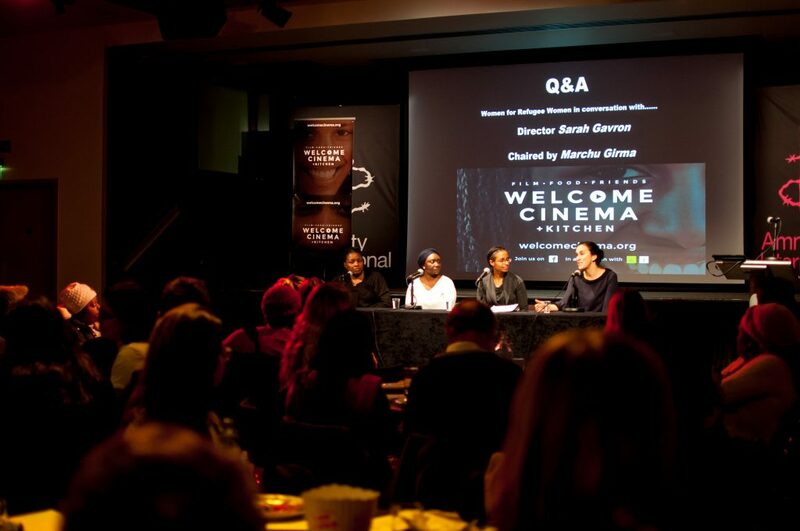 Their dreams were projected across the Royal Festival Hall every evening for two weeks. 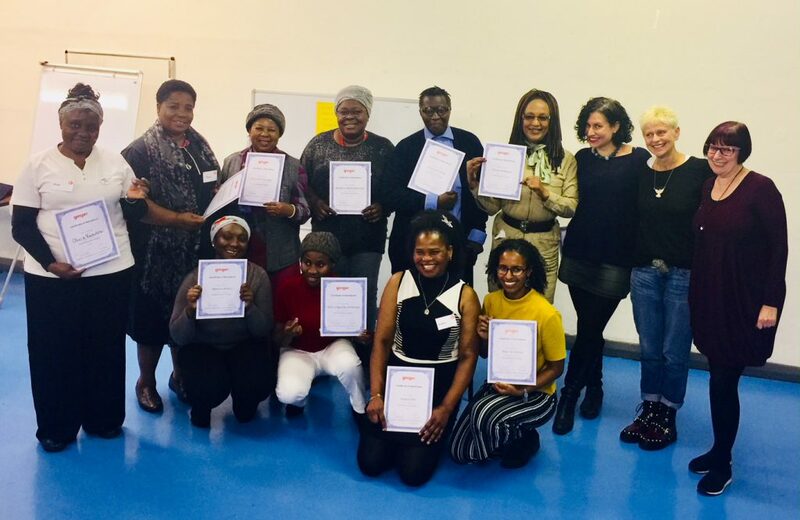 Ten women completed our ‘Telling your story with a purpose‘ training course with Ginger Public Speaking, in which they learnt how to share their experiences in a meaningful and empowering way. 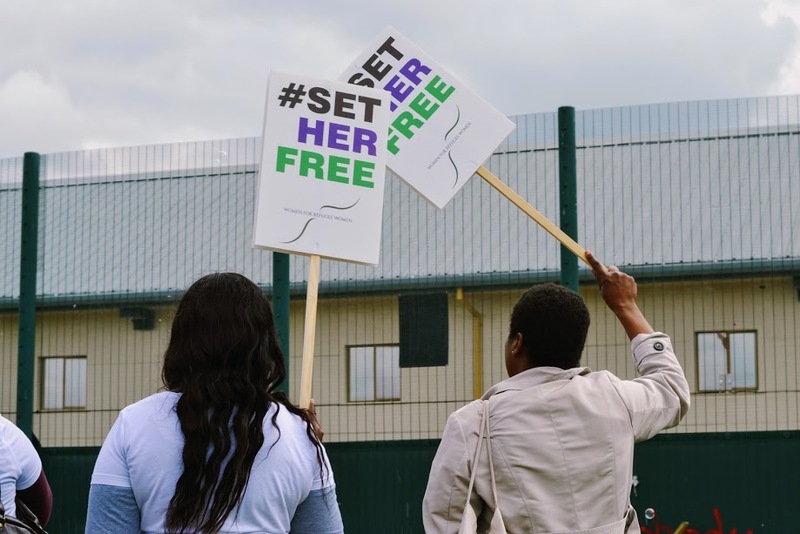 We published ‘We are still here‘, research that found that the Home Office is still detaining vulnerable survivors of sexual violence in breach of their own policy. 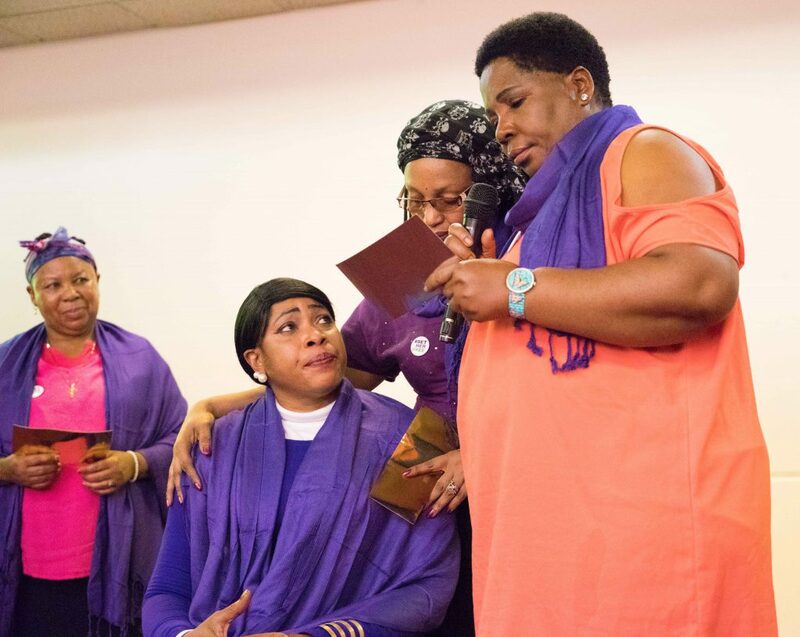 The story was picked up by the BBC, Sky News, The Guardian, The Independent and others. 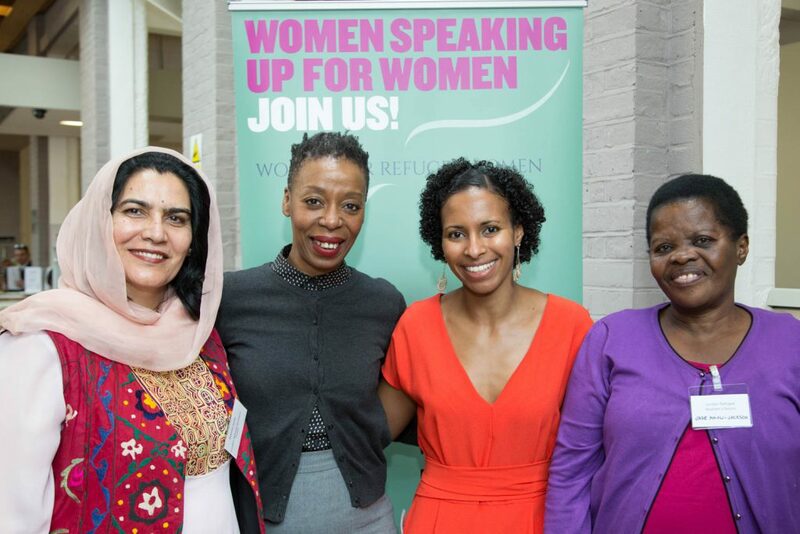 Some of the women who contributed to this research also spoke out in Parliament at an event organised by the All-Party Parliamentary Group on Refugees. 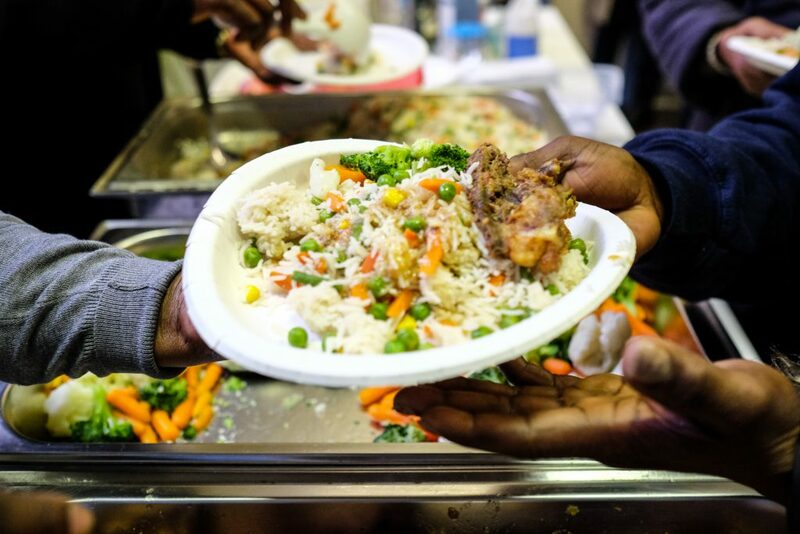 Our year rounded off on a high at our Christmas Party for 130 women. 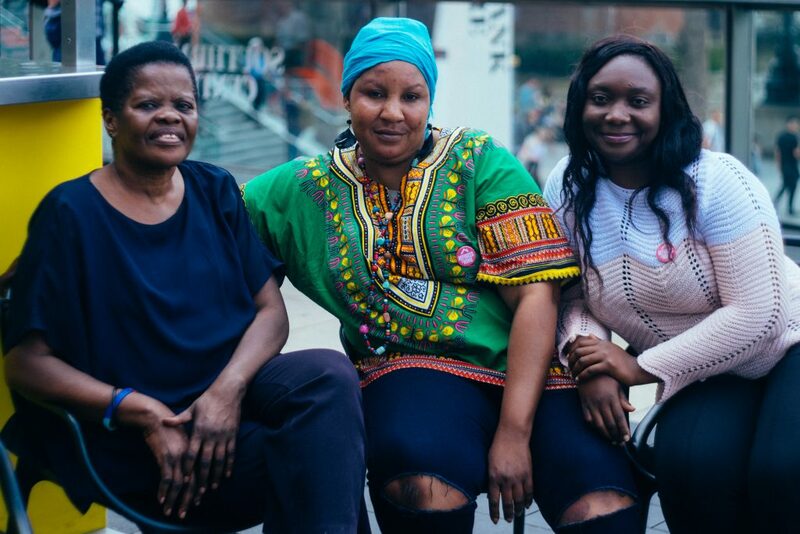 We gave out awards for outstanding contributions over the year, danced, shared food and each woman went home with a huge bag of gorgeous beauty products donated by our wonderful supporters! 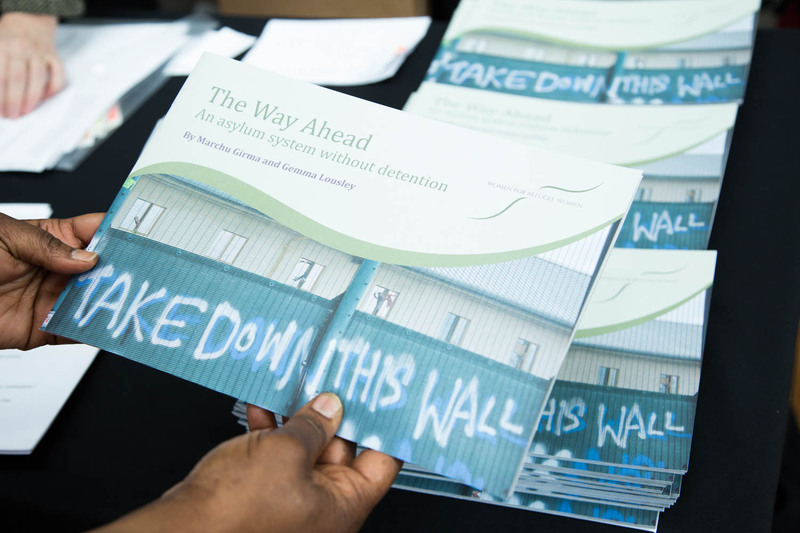 We want to say a huge thank you to everyone who has supported us this year and enabled all of this to happen.